The new sugar plant from Gloria Group, Agrolmos, will be ready in August, coinciding with the period when the planted sugarcane will be ready for harvest. The building currently registers a 50 percent advance in the lands of the megaproject. 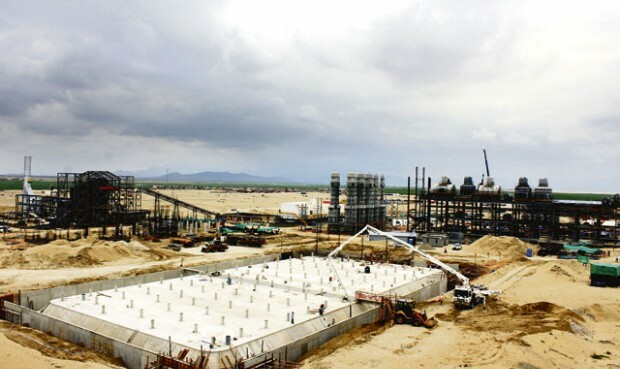 The factory is being built in the valley of Olmos, Lambayeque, Peru. According to the company, this mill will be the most modern in the country in its technological operation and will have a milling capacity of 5,400 tons per day of sugar cane to produce 500 tons of brown sugar, used entirely for the domestic market. The company expects to invest 300 million dollars in the project.